Comfy bike short which are snug to put on but once on the fitting is not noticed. PBK had shorts delivered in about 10 days. Feels luxurious, the material used are soft and comfy. Slightly longer at the tighs. Shoulder straps are ok.. feels somewhat tighter , but ok when you are on the saddle. Comfortable for century rides, highly recommended. It's Castelli, what more do you need to say. You will stand out on the local group ride, or down at the coffee shop afterwards, after all, that's what it is all about. Superb quality, ridiculously comfortable and you will completely forget that they are even there. 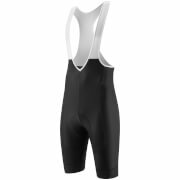 I was looking for comfortable and fit bib shorts and I am very happy with these. They make a big difference in terms of comfort during my rides, both long and shorts. These are my preferred bib shorts, beating Etxeondo, Rapha and Assos. Best price on line from ProBikeKit so I’m very happy. Comfortable, stylish and they last well. Wore them on an 11 hr bike ride in temperatures that got up to 30 degrees C with no issues whatsoever. 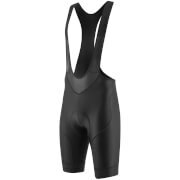 After using a few different variations of Assos bibshorts I bought two pairs of these in a ridiculously good offer to see if my rear end might cope better with long distances, as no matter how much chamois cream I lather on I still got discomfort after 60 miles. What can I say, a total transformation! Not sure if its the different pad thickness in different zones, but it just works for me. No more numbness and I can actually ride three days in a row without having to tenderly place my rear end on a saddle. I went one size up from my normal size Medium, and while its still a bit of a squeeze to get in them, once on the bike you do forget about them. Maybe not the shorts to try after an overindulging Xmas period, but more of a middle of the racing season fit. As always, you do get what you pay for, in this instance, total comfort! 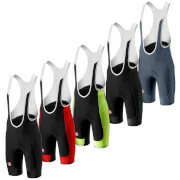 All day comfort, great quality bib shorts. Excellent quality and confort. You need to select one size up.